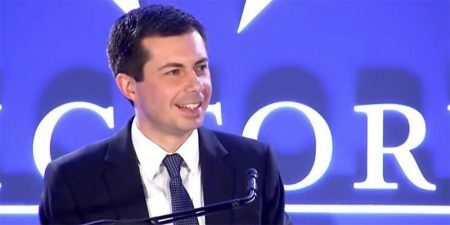 On April 14, 2019, South Bend Mayor Pete Buttigieg is the Democratic candidate who is the fastest-rising in a continuously growing field of hopefuls, officially announced he is running for president. 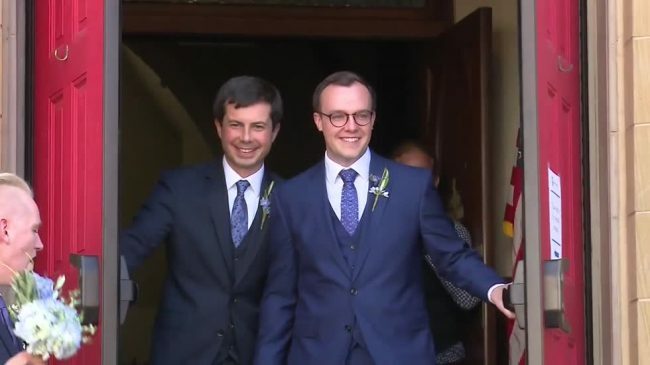 Thirty-seven-year-old Buttigieg, an Oxford Rhodes Scholar, and an Afganistan war veteran, if elected would become the youngest president and the first openly gay. Buttigieg considers himself a political progressive; his message is he is a representation of millennials. These are the people who are interested in climate change and now are left to clean up the mess the current leadership has made of Immigration, health care, and education. Just two months ago, Buttigieg was an unknown candidate. Now, through multiple television interviews, where he gave earnest responses which made liberal points without angering people has won financial backing and support. Buttigieg chose not to mention Donald Trump by name in his speech, and he made history by kissing his husband Chasten Buttigieg, before walking off the stage to a screaming crowd.